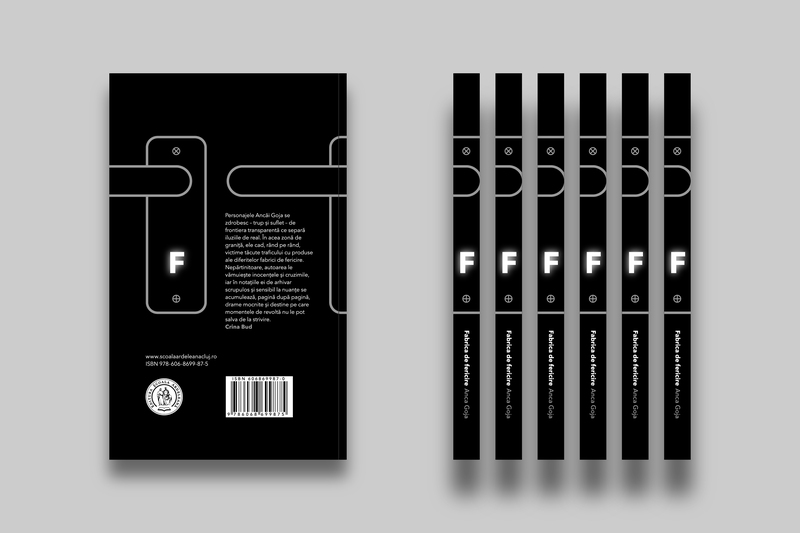 Book cover for a collection of short surreal stories. 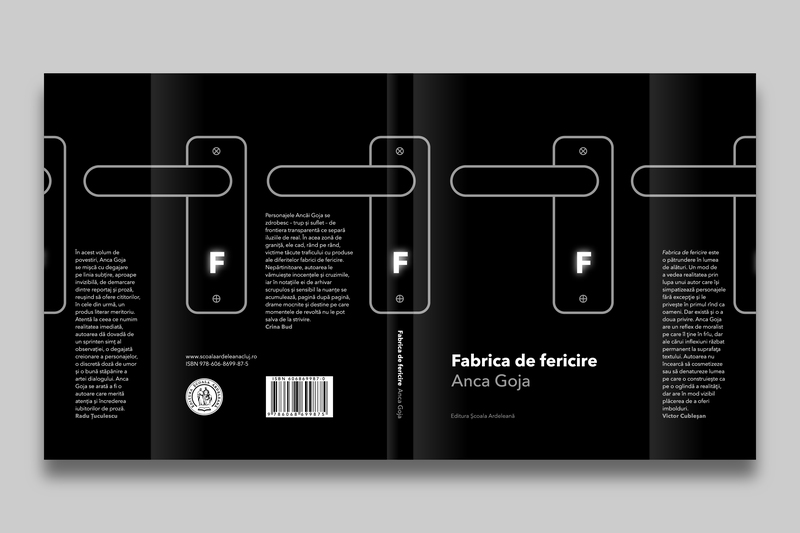 The repeating illustration design references the “Fabrica de fericire” (“The Happiness Factory”) story from the book. 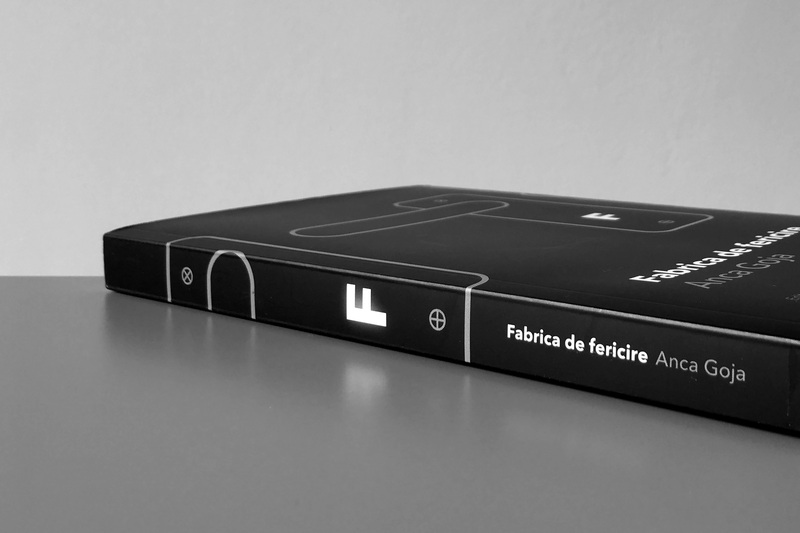 The design continues over the spine, onto the back cover and inside the cover’s flaps. 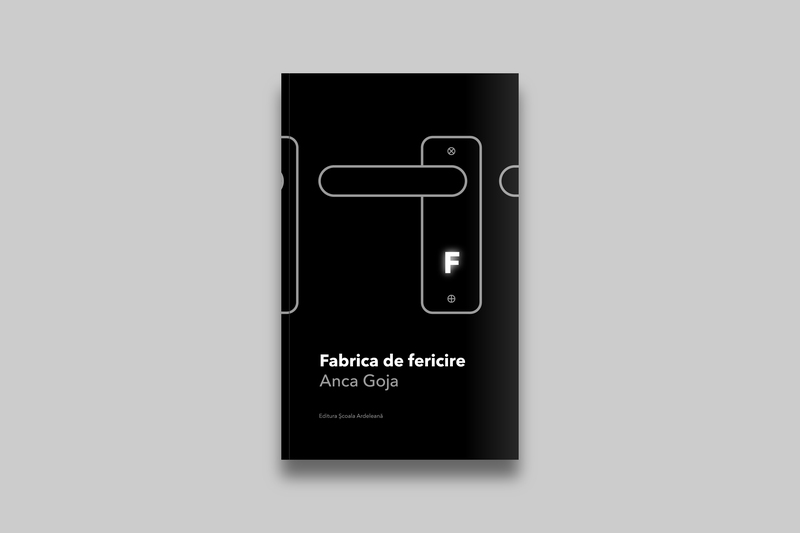 Working directly with Anca Goja, the author of the book.